This morning I popped online and came across an offer for this Kindergarten Workbook for FREE! Yup, it's true! If you want a copy you have to HURRY HURRY HURRY, the offer ends 9/16/2012. You can read more about the details for your free copy here. I am trying to be very careful that my activities align with the Common Core Standards. I love getting my hands on new activities and ideas! I can't wait to take a look at the activities in this workbook. With 600 pages of Kindergarten Common Core activities I'm sure it has many fabulous ideas to benefit my students. This would be a wonderful resource to add to my 'library'. 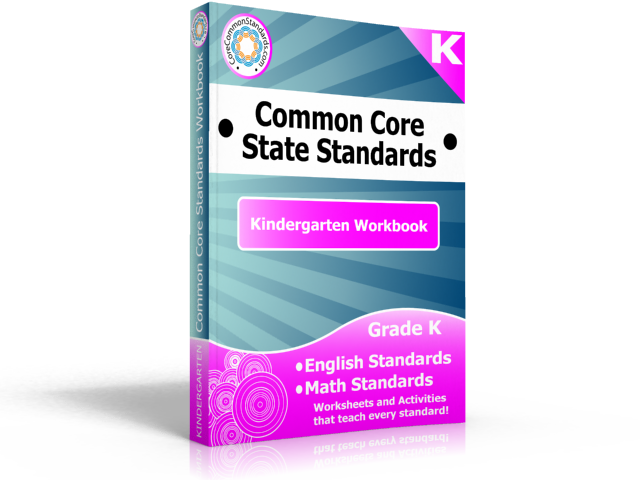 You can checkout the Kindergarten Common Core Workbook by clicking here Kindergarten Common Core. I have another review to share with you tomorrow, and I may have a (drum roll.....) preview of the October Kindergarten Homework Packet. Getting back into the swing of school and all my kids back in school has made me so tired. I have to get my energy back. Gosh I didn't know how spoiled I was with my free time this summer until school actually started. I may have to double up on my vitamins, lol. Thank you for your amazing blog! 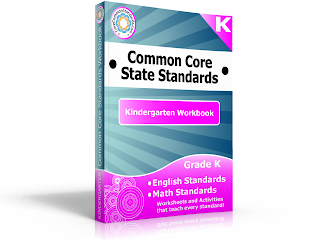 Teachers, be sure to check out the Kindergarten Common Core Workbook!